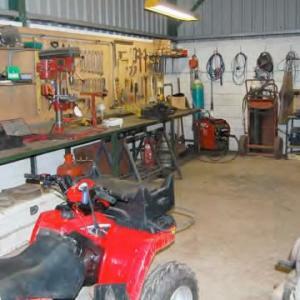 This Index includes a wide number of home built tools and clever methods devised by farmers and farm mechanics. Farmers don’t spend time mak- ing tools for the fun of it - each is created to serve a need at the time. Workshops are all very different, and we see great ideas built in places where you would think the muddle was overwhelming! This index includes methods, workshop layouts, lifts and tools. Also machinery service management. Mobile workshops.